Total Guitar 256 is on sale in print, and digitally worldwide from today. Get our latest issue for free with a 30-day free digital trial subscription for iOS and Android! This issue, we're pitting two modern blues-rock guitar heroes against each other! 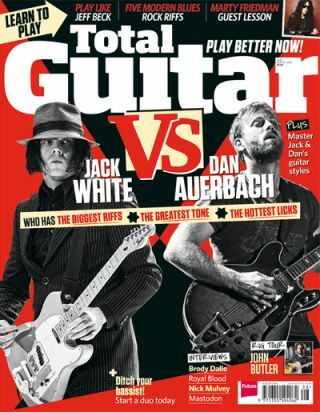 It's well known that there's little love lost between Jack White and Dan Auerbach, but we're keeping it strictly about the guitars as we look at every aspect of Jack and Dan's playing, and decide who's the best guitarist. Make your guitar sound like a helicopter!